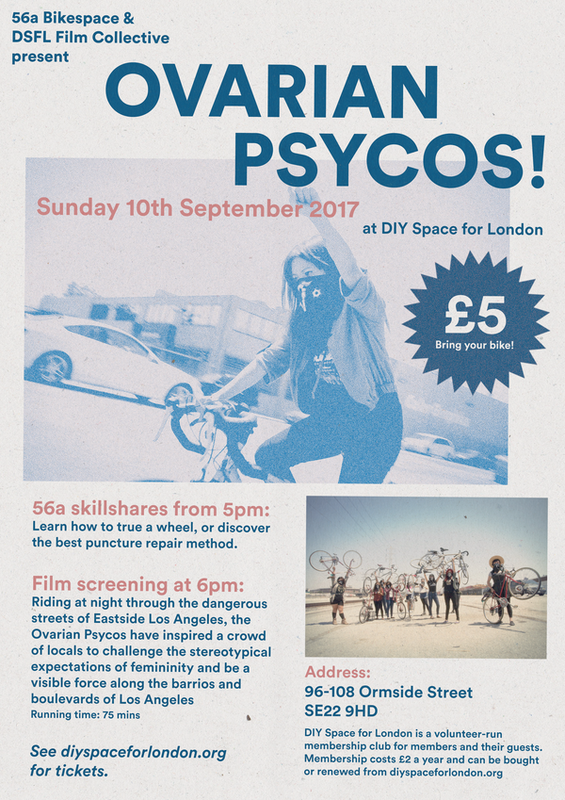 The screening is ran by 56a Bikespace with the DIY Space for London Film collective. 56a Bikespace is South London's Do-It-Together, volunteer ran community bike workshop. There will be bike maintenance skillshares in the hour before the film if you want to learn how to true a wheel or get the best puncture repair method. If coming for just the screening, please ensure you are here in a timely manner so that we can comfortably sit everyone before the film starts!